Il SureStay Hotel by Best Western Presque Isle è situato nel centro di Presque-isle. L'hotel è vicino alle principali attrazioni turistiche. Approfittate tutto l'anno del miglior prezzo garantito e di offerte esclusive. Benvenuto al SureStay Hotel by Best Western Presque Isle, hotel ristrutturato di recente che offre il miglior rapporto tra qualità e prezzo a Presque Isle. Ci troviamo in una posizione comoda lungo Main Street, vicino alla University of Maine at Presque Isle. 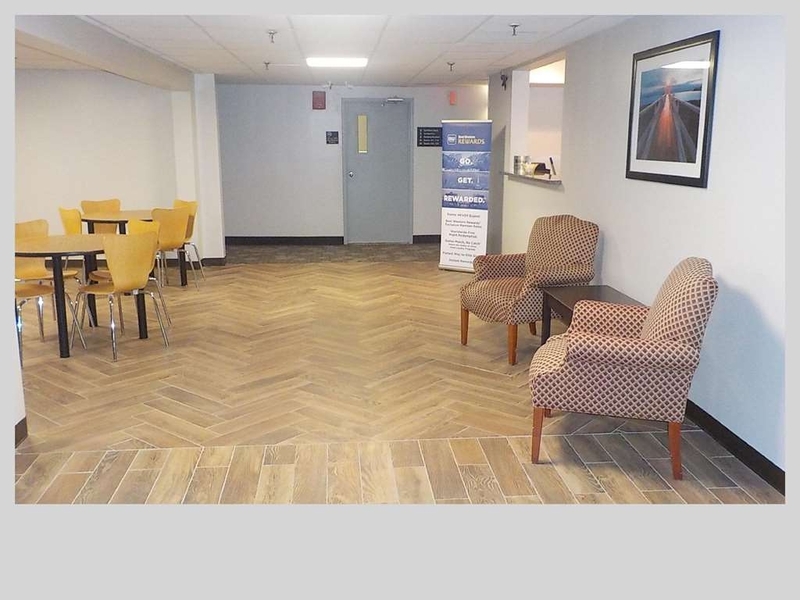 L'hotel è a breve distanza da negozi, strutture sportive, aziende e istituti di istruzione come il Northern Maine Community College. Potrai goderti paesaggi stupendi, grazie alla vicinanza alle piste per motoslitte e quad. Potrai sciare e fare escursioni a piedi o in bicicletta presso il Nordic Heritage Center. Tutte le stagioni offrono qualcosa di bello!Le nostre camere, pulite, spaziose e ristrutturate di recente, sono dotate di letti con imbottitura a cuscino, televisore ad alta definizione da 40 pollici con canali via satellite tra cui HBO ® e accesso Wi-Fi a Internet gratuito. Sono anche disponibili suite con angolo cottura per soggiorni prolungati. Goditi la colazione continentale gratuita e i numerosi servizi offerti dall'hotel. Prenota oggi stesso e risparmia. Ti auguriamo un soggiorno gradevole! "New definition of extraordinary customer service by Presque Isle staff"
Owner Scott LeFleur and associate Beth Johndro delivered first rate service, repeatedly, on their own initiative throughout my stay. I arrived on a Tues. night via motorcycle, after riding over 600 miles from White Plains, NY. I was participating in a national motorcycle scavenger hunt event (Tour of Honor tourofhonor.com ), and the last of my 24 destinations was Presque Isle, ME. I was exhausted, chilled to the bone, and ready for rest and a hot meal. Owner Scott LeFleur came out from the rear office to offer his advice on how to arrange for dinner to be delivered to my room. Beth Johndro and the front desk associate provided me with multiple dining choices and their "local advice" on final selection. The next morning, the front desk associate came out to the breakfast area, and asked if I wanted pancakes or any other assistance. Add'l background: I s/w Beth Johndro the week before, explaining my need to ensure availability in the event I made it to Presque Isle to take a picture of a local memorial. She confirmed there were a number of rooms available, and there would be a room for me if I arrived as planned. As it turned out the weather turned unfavorable and I was unable to make the trip as originally planned. But when I arrived a few days into the following week, the local staff delivered the service described above. Beth in particular set an outstanding example of listening to my (customer) needs and doing her best to not only meet, but clearly exceed my expectations. Compliments to owner Scott LeFleur for creating such a terrific culture of customer service and kindness to worn out motorcyclists - it fit right into the Best Western brand, for sure. As a motorcyclist, I ALWAYS head for a Best Western property, because Best Western WANTS motorcyclists to be their customers. 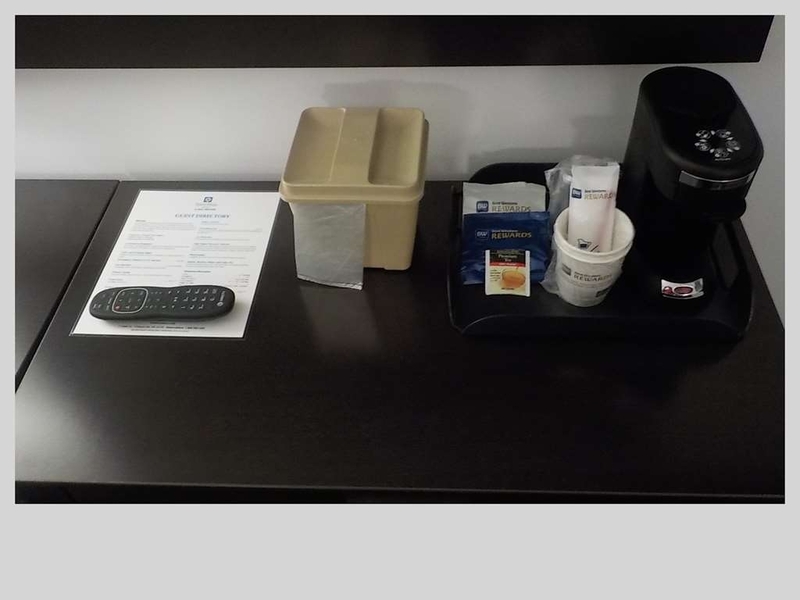 So nice to see the Best Western brand come through, even in "remote outposts" like Presque Isle, ME!!! 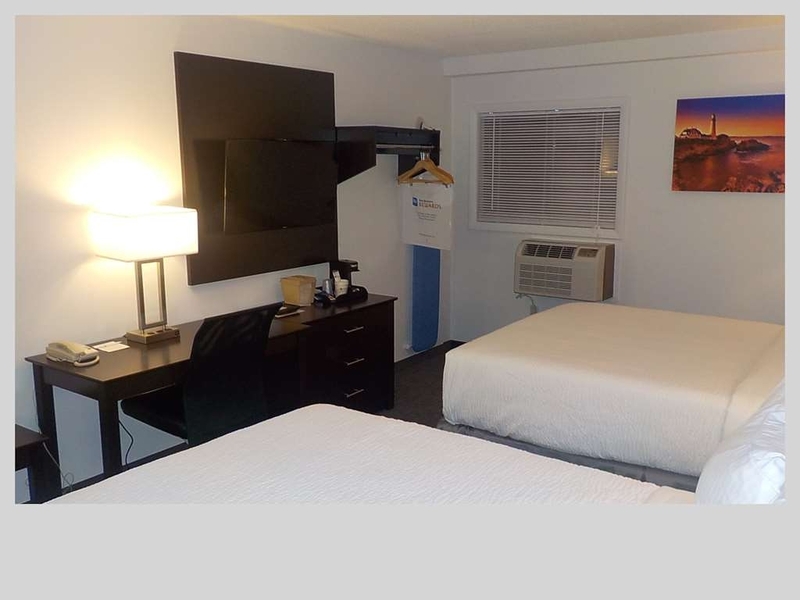 "Nice staff and very clean"
The staff was very nice and accommodating The room was super clean and the beds were extremely comfortable. I would definitely recommend and stay there again. The price was also very reasonable. Great Job! Thank you for your wonderful review and thank you for taking the time to recognize the great work of our housekeepers who keep our rooms spotless. I'm also happy you enjoyed our new pillow-top beds and that you liked our price, we try to provide the best value in Presque Isle. Thank you for the recommendation and we hope to see you again soon! Thank you for taking the time to leave a review. Good to hear you enjoyed our excellent service and clean, renovated rooms. We hope you continue to choose us when you stay in the area! Great stay! I was traveling on business. The hotel staff were extremely helpful. The rooms were extremely clean and the beds very comfortable. The complimentary breakfast was good, nothing fancy but a good start for the day. I would recommend Sure Stay if you're traveling in the Presque Isle area. Thank you so much for choosing our hotel for your stay. We are delighted to see you enjoyed our friendliness and hospitality. 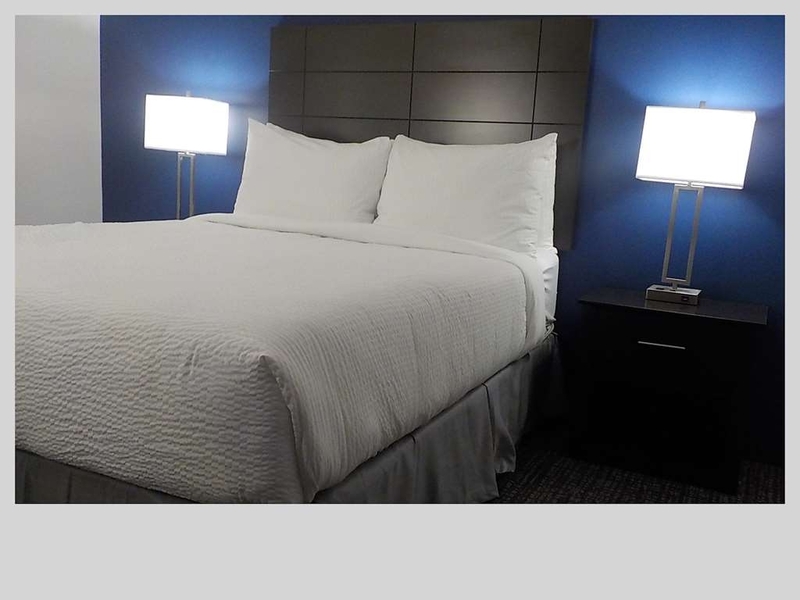 Thank you also for your kind words regarding our clean rooms and 'very comfortable' beds! We hope you choose to stay with us again when you're in the area. The rooms were clean and comfortable. The staff at the front desk were very friendly and welcoming even on arrival at 11 PM!! Our stay was warm and cozy in 3 degree weather. The staff was very helpful with recommendations. Thank you for your review. We pride ourselves on exceptional service and I will make sure to thank our team members on your behalf. We hope to see you again soon! Thank you for leaving a review. We are happy you enjoyed the new rooms with your dog. 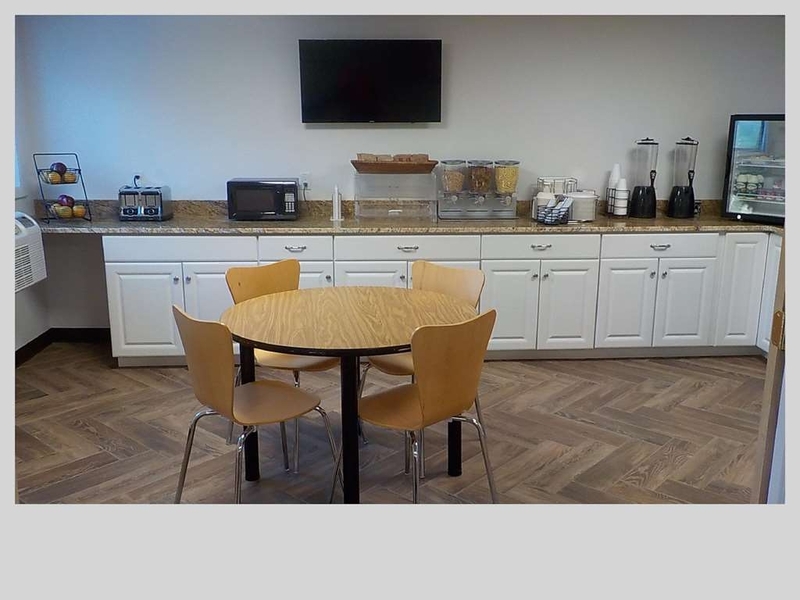 We continue to improve our continental breakfast and will have new offerings next time you are in town. We hope to see you again soon! 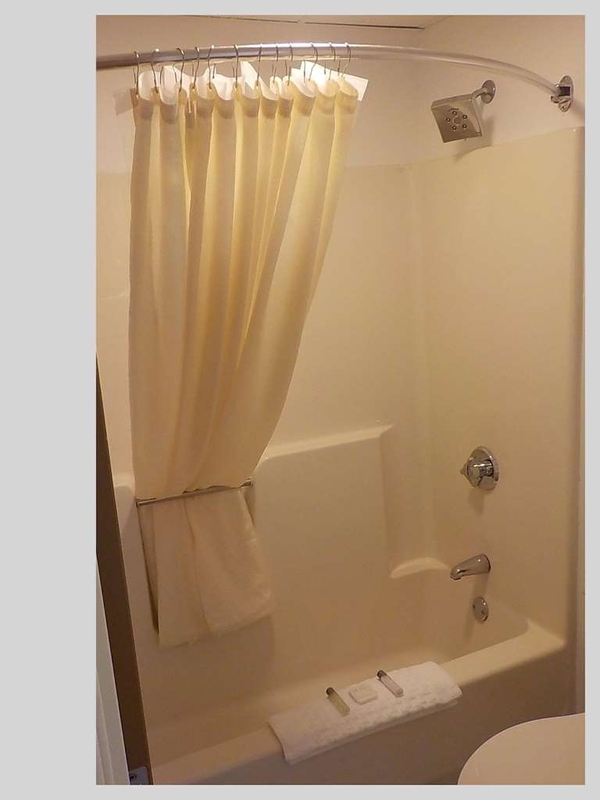 "Pleasant Stay in Presque Isle!" 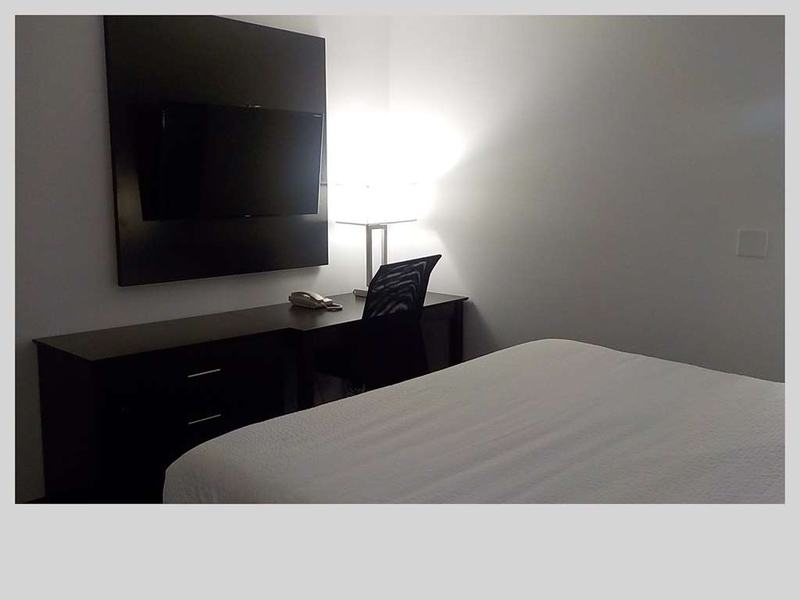 Very well done, recently remodeled, basic hotel. Best Western never lets us down and this reidence is no exception. The owners know their buines and are hands on and totally committed to insuring the best customer care and experience possible for their guests. Thank you for the review Judy, it was a pleasure meeting you and comparing travel stories. We are happy you enjoyed your stay and hope we cross paths again! All of the staff went out of their way to be helpful and accomodating on what has been a challenging trip. Would definitely recommend anyone to stay here. I was visiting UMPI so the location was ideal. 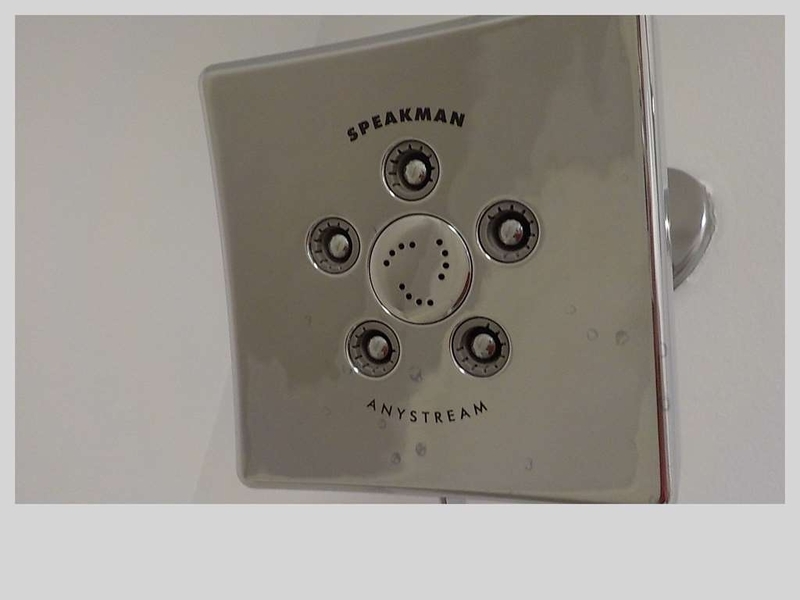 Everything was updated in 2018 and the amenities are very nice. 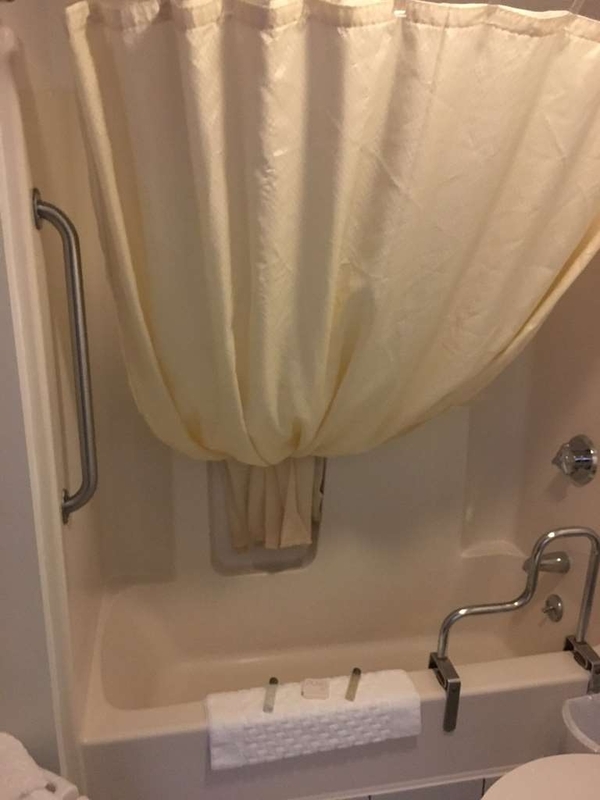 Clean rooms, though some of the details the were cut during the remodel detract from what could have been a great presentation. Things like doors and door frames were left untouched in the remodel and they show their age. 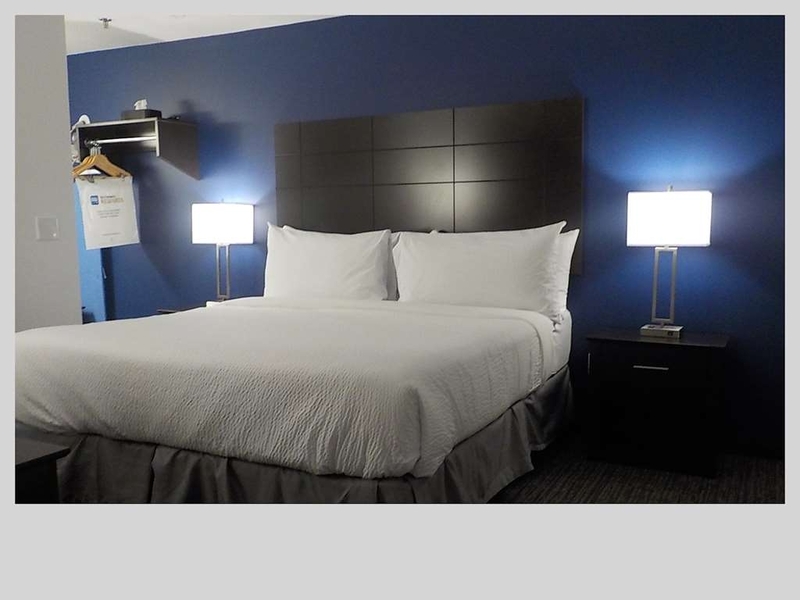 For a business traveler or those working on a budget this is an ideal value option! Be mind full, in winter the parking lot is set down from the road a considerable amount making leaving a challenge if there is a recent storm. Thank you for your review! We continue to improve the hotel and appreciate the feedback on the doors. Hope to see you again next time you are in the area. 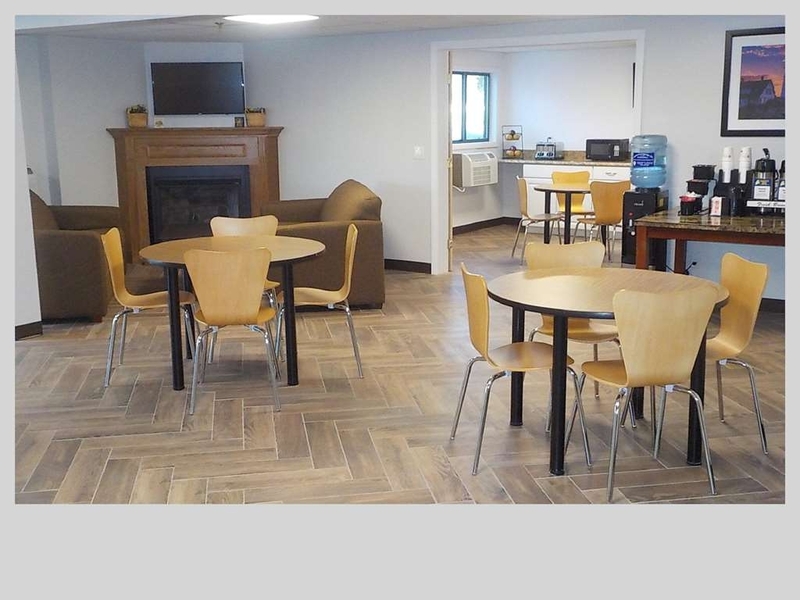 "Clean, convenient, dog-friendly place to stay in the County"
My husband and I were headed north for a quick overnight trip and wanted to bring our two small dogs. We were delighted to see that SureStay allowed dogs (up to 80 lbs each) for a $25 fee and refundable $75 deposit if they don't do any damage. 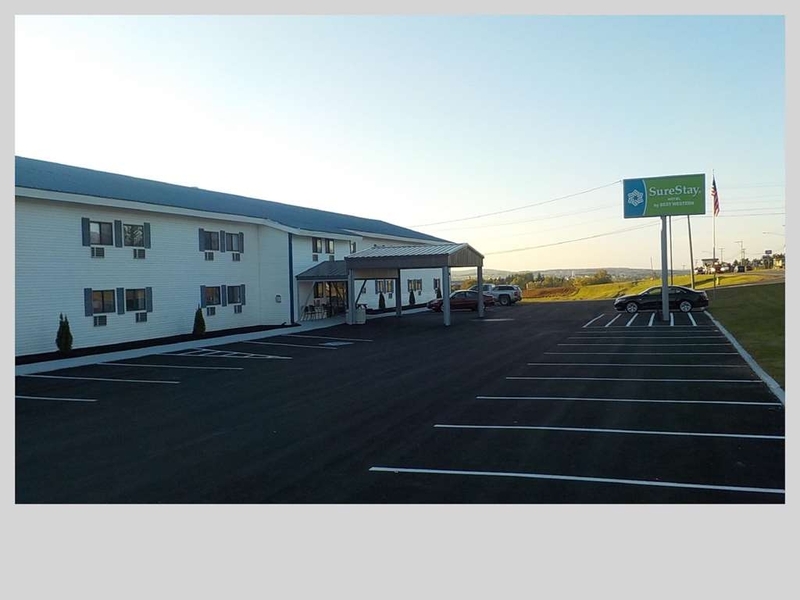 We booked the room for a good price and when we arrived in Presque Isle, this was one of the very first hotels we got to on Main Street - so it was very convenient and easy to locate. 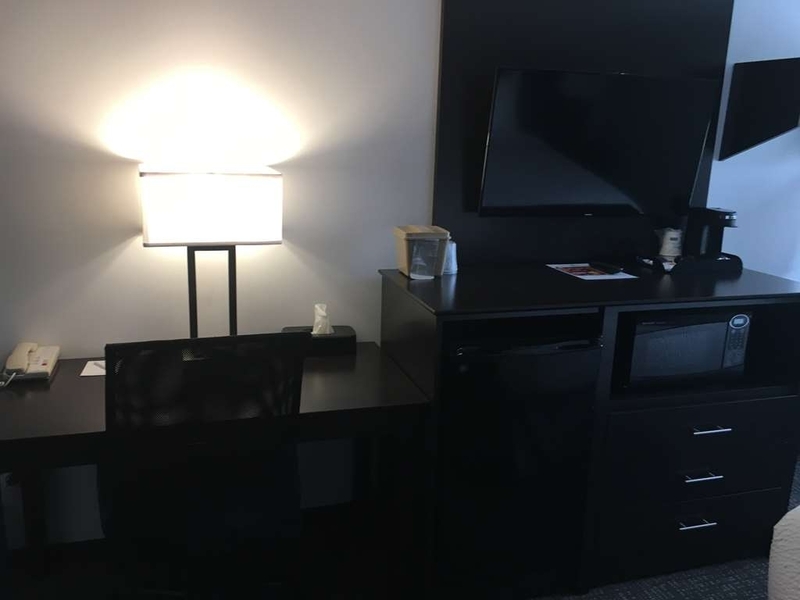 The staff at the front desk were VERY friendly and helpful, and we were able to check into our room early. Our room was small (we had a single room with one Queen bed), with a very tiny bathroom, BUT, it was clean, comfortable, and very nice for what we needed for the night. 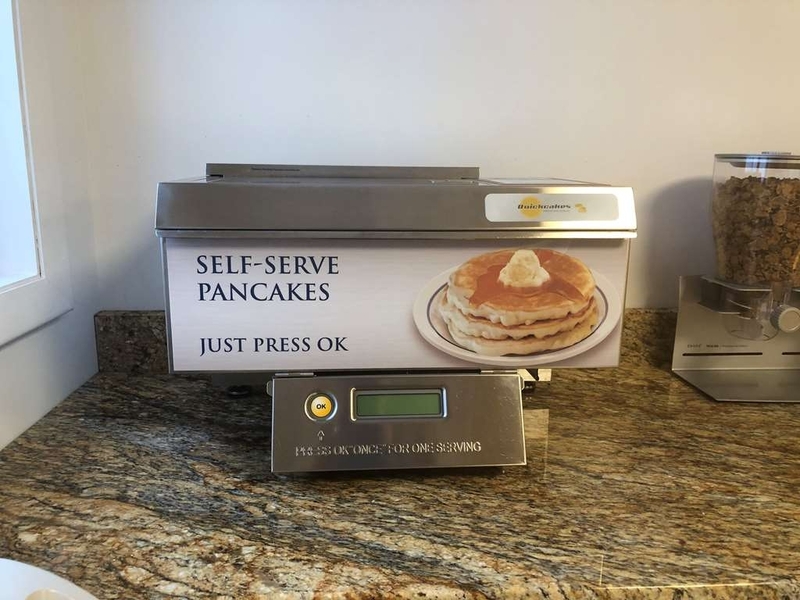 They have a free continental breakfast in the morning, though since we don't eat flour or sugar, there wasn't anything we could eat - it was mostly bagels, toast, a cool pancake machine...but my husband was happy to hear that they had coffee available 24 hours a day. We would DEFINITELY stay here again. Thank for taking the time to leave a review. We love to serve our guests and their little furry loved ones! Thank you for the feedback, we are always working to improve our breakfast, and we hope to see you again soon! Room was clean and nicely furnished. Suite was great for us and the kids. Two rooms with separate tv's and heating/ac units meant the kids could do as they wished. 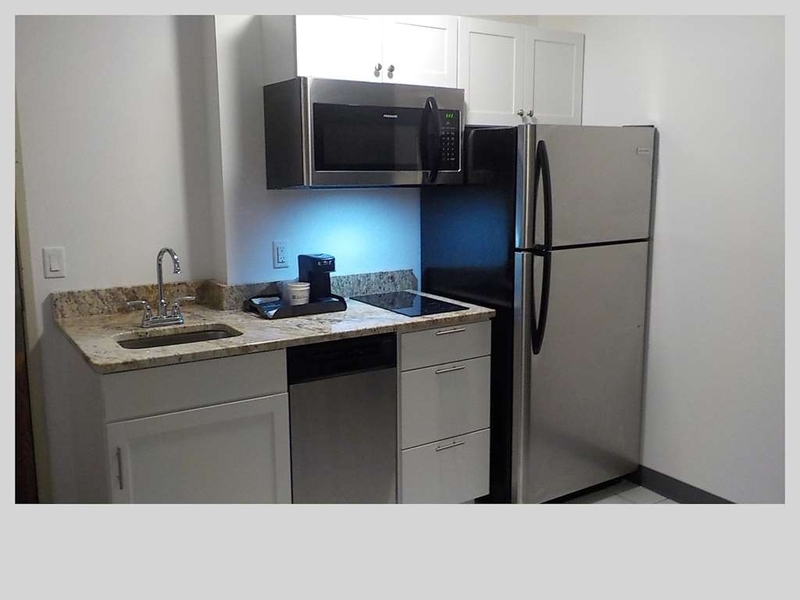 Kitchenette had everything needed to make a quick meal or keep and heat leftovers. Staff was pleasant and helpful. Right next door to UMPI, and close to downtown. Thank you for leaving us a review. We've been getting a lot of positive reviews on our new pillow-top beds and I'm happy you enjoyed them as well. We pride ourselves on our exceptional service and best value. I hope you chose to stay with us again. Several snow club members needed a place to stay. SureStay got us the rooms we needed at a group rate and upgraded one room at no charge to a suite so we had a place to assemble after riding hours. Their onsite breakfast nook was perfect as we ate the other meals on the trail. Great, accomodating staff at a perfect location. Thank you for the review! As you mentioned, our hotel is conveniently located on the snowmobile trail system and we offer sledder discounts! We had a great time hosting your club and hope you stay with again! 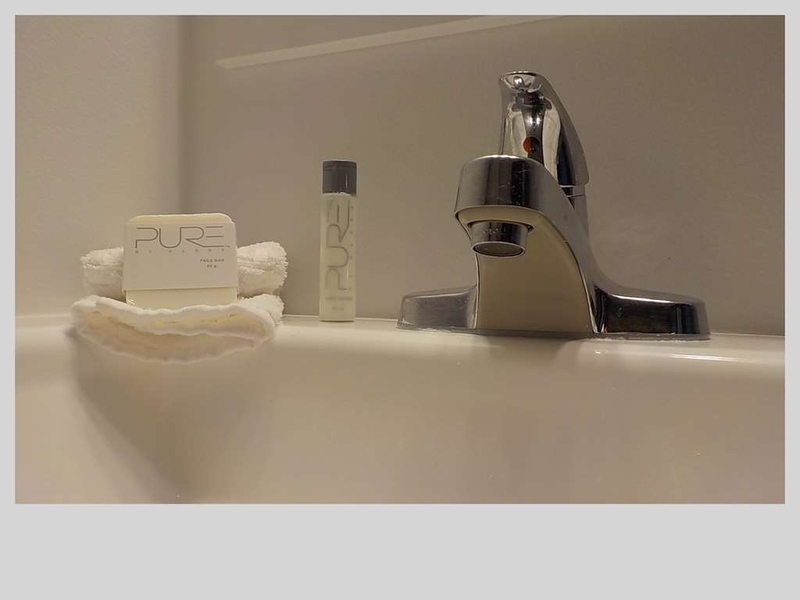 This was our first time staying at a SureStay and it did not disappoint. Perfect location right next to UMPI, exceptionally friendly staff, and newly renovated rooms with new beds - We slept like babies!Thanks guys, we'll be back! Thank you for taking the time to review us! We pride ourselves on service and are happy you were able to experience it. We look forward to seeing you again. Had a wonderful weekend filled with friendly efficient staff, cozy beds, very clean newly renovated rooms, and a wonderful breakfast! 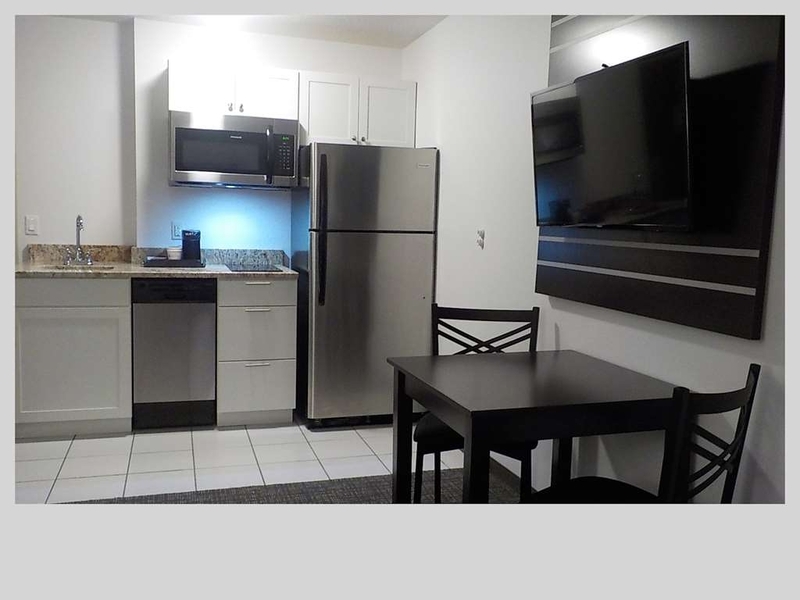 Conveniently located to all amenities! Will definitely be back!!!! Thank you for your review and we loved having you as our guest. We look forward to seeing you again next time you are in the area! I had a great stay at this hotel. My room was newly renovated, clean, and comfortable. Staff were friendly and professional. Rates are well-priced. I would stay at this hotel again and recommend it to family and friends. Thank you for taking the time to review our hotel. We're glad that you enjoyed your stay and look forward to seeing you again! I recently stayed at this hotel with my family and had a wonderful experience. The staff was very friendly and helpful. 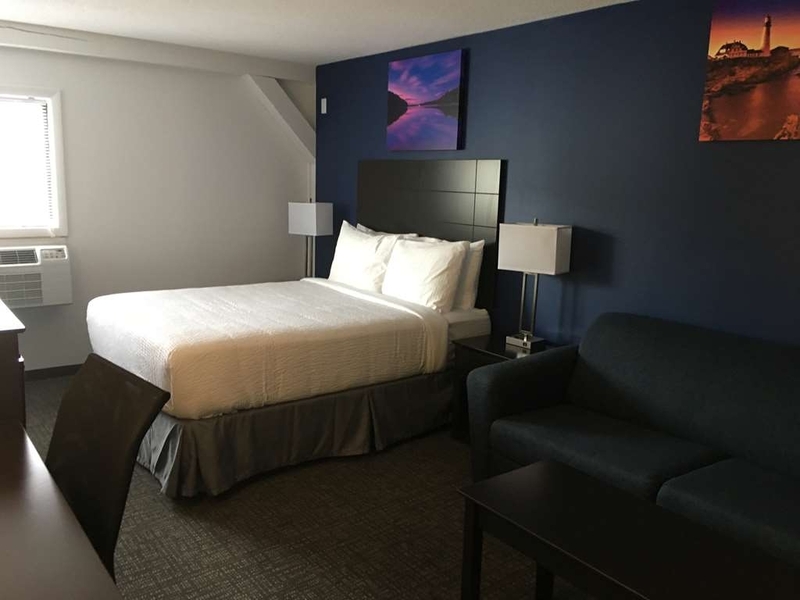 Newly renovated and you can tell that the beds are new! 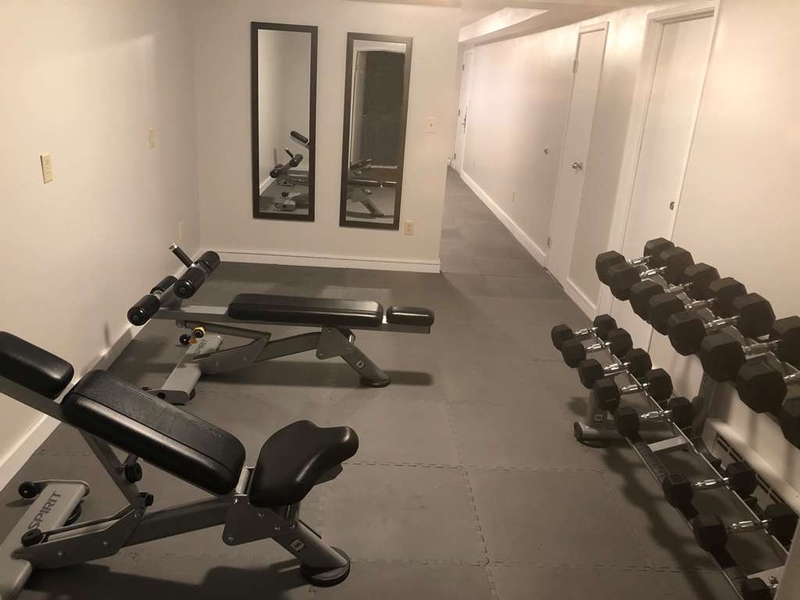 Pretty basic gym, but really all you need for a workout away from home. Thank you for your review. We really enjoyed having your family stay with us and hope you stay with us again next time you're in the area. The hotel met all our needs. It was very clean. We had a suite with a kitchenette and plenty of room. The bed had a very comfortable mattress. The hotel was convenient to the Bluegrass Festival (indoor) we were attending nearby. The staff were professional and very helpful. We had a great weekend. Thank you for taking the time to review the hotel. I hope you had a great time at the Bluegrass Festival, and we'd love to see you again during the next Bluegrass Festival or the next time you're in the area! I picked this hotel as I had heard it was fully renovated and converted to a Best Western. The room was beautiful. Everything looked brand new and spotless. Bed seemed brand new as well and was very comfy! The room and the hotel was very clean and well maintained. The staff were friendly and accommodating. Couldn't have asked for a better experience. Very impressed with the quality overall and will definitely stay again if I am ever back in town. Thank you for taking the time to review us. We do have new pillow-top beds as you mentioned! I hope you stay with us again next time you are in town. Great value! Hotel is newly renovated, rooms are clean. We enjoyed having access to a fitness centre. Breakfast was great, standard hotel fare, but was nice to have included. Thank you for your hospitality! Thank you for your great review! Look forward to seeing you again. This is the first time returning to this hotel after the upgrade. Enjoyed the excellent staff, the room cleanliness and comfort. 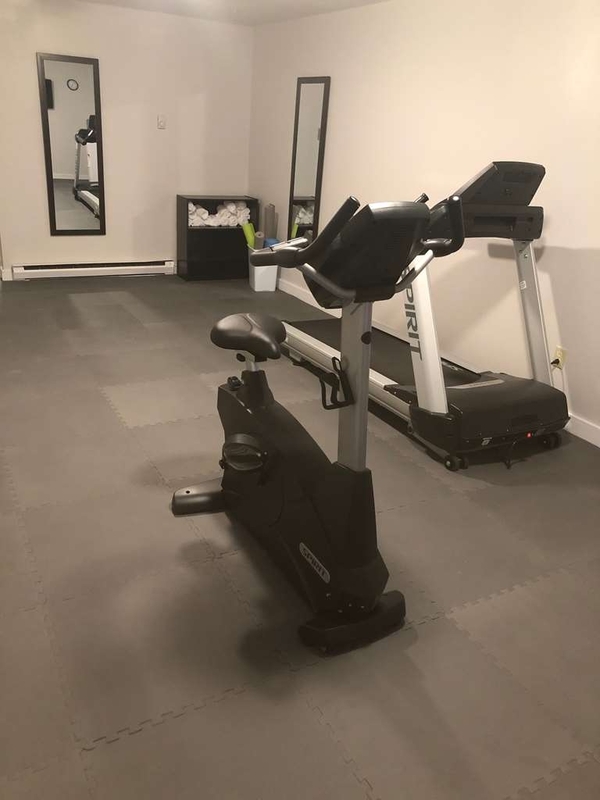 One of the former downstairs room/apartment was turned into a fitness center and has adequate equipment to satisfy the traveler. We were impressed with Veronica, who was the front desk employee who checked us in. She was cordial, and changed our room to a ground floor as needed. She offered us assistance to bring in luggage, it was appreciated. Thank you for the review. We are happy you enjoyed the upgrades and our excellent service! We look forward to having you stay with us again. This was the first time we stayed at a SureStay Hotel by Best Western. This hotel was up to the standards and did not fail us in our trip to the start of US1 in Maine (Ft Kent). Front desk staff was very professional and very friendly. The hotel is under new management and is in transition so when we got up the worker bees were buzzing, but we did not hear them until we got out in the hall. Breakfast was the standard fair but the staff was friendly which is a BIG PLUS for traveling. Smiles always start the new day, thank you. Thank you for the wonderful review! We are happy you enjoyed your stay and experienced our exceptional service. We look forward to seeing you again! "Comforting place for family send-up." I stayed in this hotel about 20 years ago for a Lions Convention, and I could hardly recognize it this week. 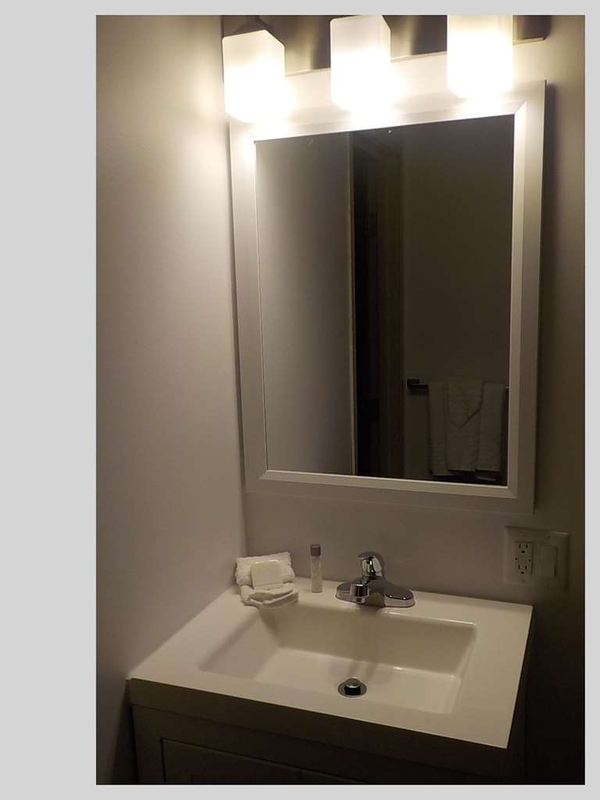 It has been completely renovated! The outside looked bright and new, but the interior re-design and quality are amazing! You are greeted with a beautiful entrance lobby with fireplace and adjoining breakfast and lunch room. The rate we paid was considerably lower than any hotel in town, and we all thought it was belter than the more expensive one we had stayed at last year. New Fitness Centre in the basement which I used every day, brought my own Ipad for tunes. 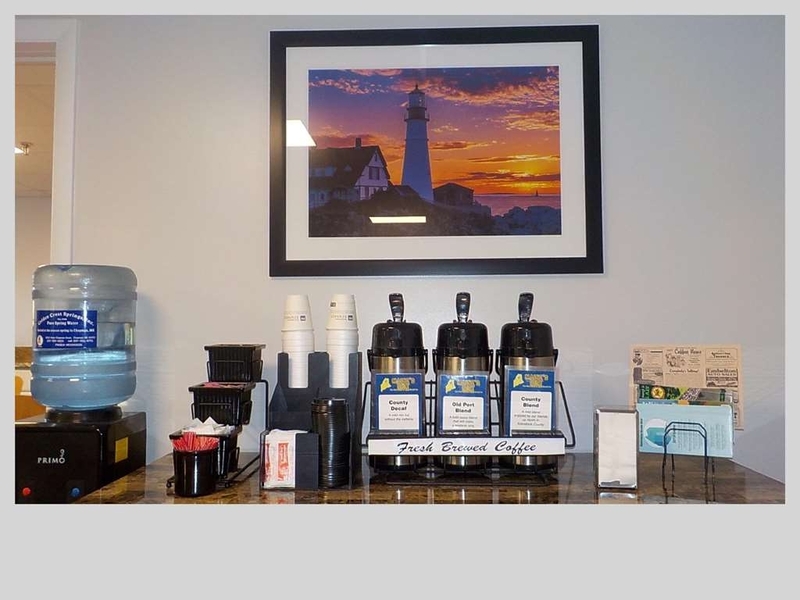 Hot Continental breakfast was included in the room cost, and friendly Christina was there to make waffles, pancakes,, bagels or toast for you. All day free coffee, and coffee machine in the rooms. we were there for a sad family event, having siblings coming from all over North America, even though we were sad and exhausted, Scott, the owner, Sylvia, Kai, and Jim the maintenance guy went out of their way to help us and accommodate our needs. Hotel staff were amazingly friendly and understanding. The entire hotel was great, staff were wonderful, price a delightful surprise, but the best thing about the hotel was the beds. 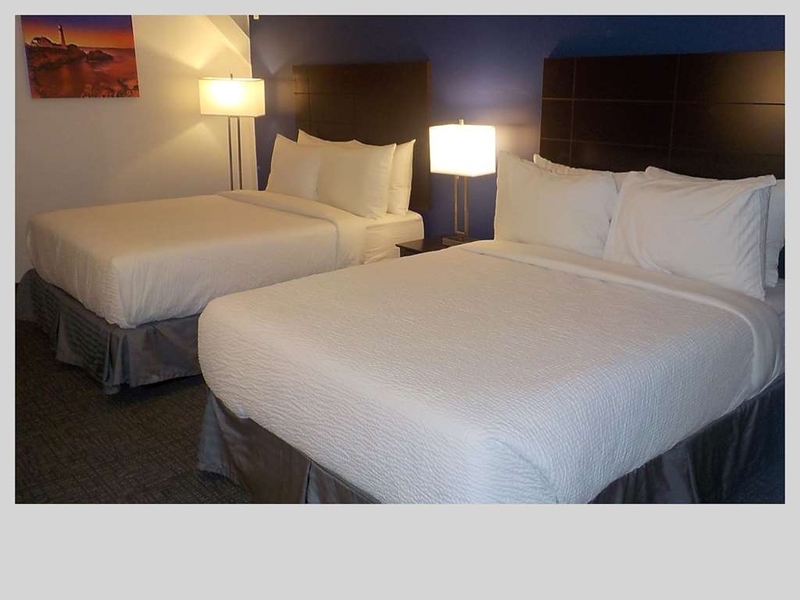 Nice and high numerous pillows and luxurious sheets. Took about five minutes to drop off into Dreamland. 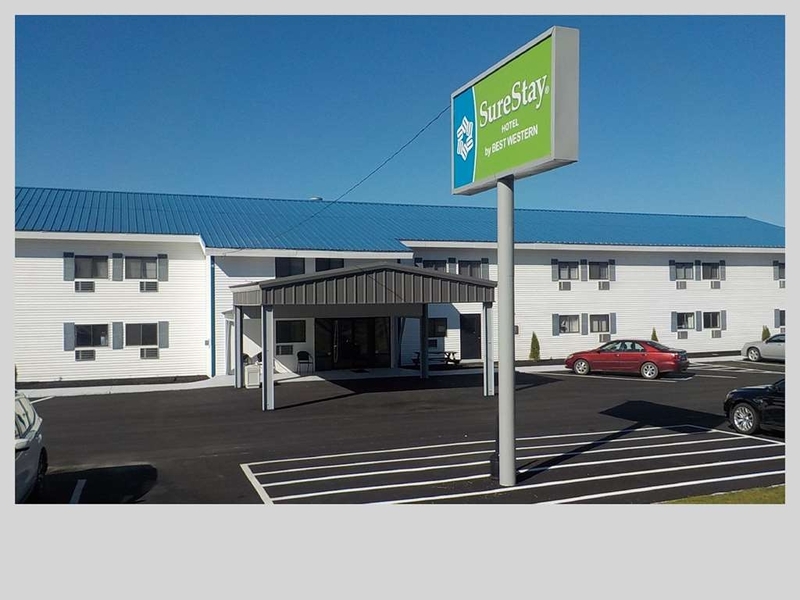 My family and I highly recommend the Sure Stay Best Western in Presque Isle, Maine. We had a sudden death in the family and our original accommodations fell through. 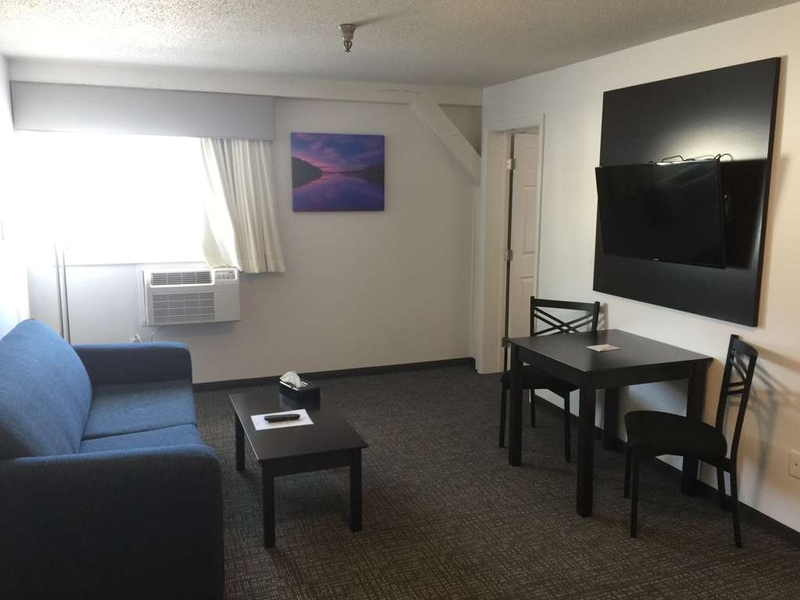 The staff here set up 4 rooms for us very easily and were very pleasant and helpful. A decent breakfast is available every morning as well. Thank you for your review and we were happy we could accommodate your family during a difficult time. 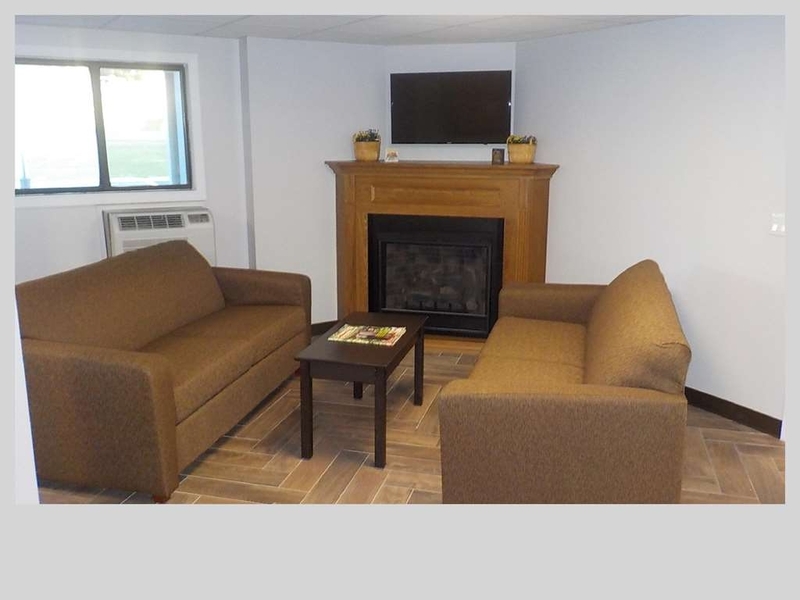 We hope to see you again at your home away from home in Presque Isle!